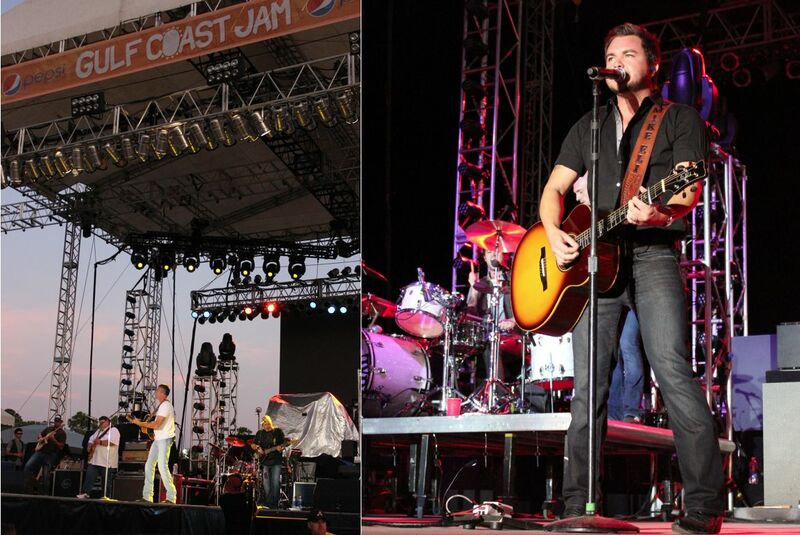 The Gulf Coast Jam in Panama City Beach featured daytime stages on the beach, and hosted some of the biggest names in country music at Frank Brown Park during the evenings. In only its first year, the Gulf Coast Jam hosted headliners including the Charlie Daniel&apos;s Band, Kip Moore, Trace Adkins, Brantley Gilbert, the Eli Young Band and Toby Keith! Fans of Brantley Gilbert received a real treat on Saturday night, as the band came out to put on a big show, featuring a great lights show and a high energy live performance, and included hits like Dirt Road Anthem and My Kind of Crazy, as long as some of his slower ballads. While the stages right on the beach were a hit with sun-loving fans in bikinis and board shorts, by far the biggest crowds of the weekend came out for the Saturday night shows, with Darryl Worley taking to the stage as the sun dipped below the horizon, followed by the Eli Young Band, and finally Toby Keith. The open air seating was not over-crowded, and the setting sun cast an amazing light on everything as Worley and friends played to the crowd, telling stories and then getting everyone moving as the crowd swelled to an estimated 13,000. The Eli Young Band proved they know how to put on a show as well, nearly upstaging the show headliner Toby Keith with a high energy performance. Nearly, but not quite! Keith set the tone with a nearly 4-minute intro video before launching into his performance with a pyrotechnic explosion. Smoke filled the stage after each explosion, and those flashes of showmanship continued throughout the night. 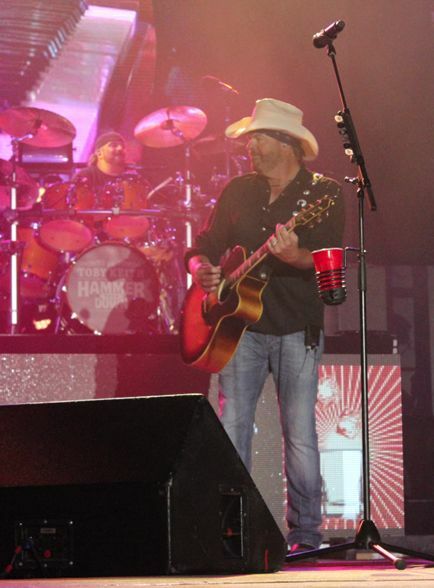 Even though the country music star was never far from his trademark "Red Solo Cup," when he played the song he made sure that no one missed the point, as 7-foot tall red solo cups inflated on stage, and the crowd sang along to this favorite. All in all, everyone seems to agree that this was an amazing first year for the Gulf Coast Jam, a star-studded event that event organizers promise will become a new Panama City Beach tradition. If you love country music, and you love the beach, there really isn&apos;t a better venue to combine those to passions than right here in Panama City Beach!